This activity was developed by Med-IQ in collaboration with Duke Health. Overview: This accredited CME publication features a review of and expert commentary on the role of hematopoietic stem cell transplantation (HSCT) in the treatment of diffuse systemic sclerosis (SSc). 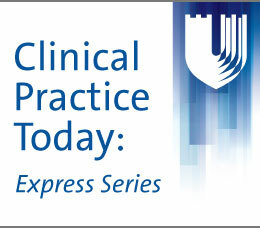 Clinical pearls from recent evidence are provided, as well as expert insight related to the novel, critical endpoint recently published from a landmark prospective clinical trial. This activity is intended for rheumatologists. SSc is a rare and multi-organ disease that causes substantial disability, poor quality of life, and shortened life expectancy for affected patients. For those with severe diffuse SSc, few effective treatment options are available, and the current armamentarium not only fails to maintain long-term improvement but also often leads to considerable toxicity. Despite improvements in clinical management, the SSc-associated mortality rate has not changed over the past 40 years. In recent years, autologous HSCT has been investigated as a potential cure for numerous autoimmune diseases. Early studies of HSCT for diffuse SSc have demonstrated its ability to promote the stabilization of affected organs and improvement in skin thickness and function. A recently published prospective trial demonstrated that myeloablative HCST, compared to standard therapy with cyclophosphamide, led to improved event-free and overall survival in patients with severe scleroderma. Med-IQ designates this enduring material for a maximum of 0.25 AMA PRA Category 1 Credit™. Physicians should claim only the credit commensurate with the extent of their participation in the activity. This CME activity consists of a 0.25-credit online publication. To receive credit, read the introductory CME material, read the publication, and complete the post-survey, evaluation, attestation, and post-test, answering at least 70% of the post-test questions correctly. Med-IQ requires any person in a position to control the content of an educational activity to disclose all relevant financial relationships with any commercial interest. The ACCME defines “relevant financial relationships” as those in any amount occurring within the past 12 months, including those of a spouse/life partner, that could create a conflict of interest (COI). Individuals who refuse to disclose will not be permitted to contribute to this CME activity in any way. Med-IQ has policies in place that will identify and resolve COIs prior to this educational activity. Med-IQ also requires faculty to disclose discussions of investigational products or unlabeled/unapproved uses of drugs or devices regulated by the US Food and Drug Administration. The content of this activity has been peer reviewed and has been approved for compliance. The faculty and contributors have indicated the following financial relationships, which have been resolved through an established COI resolution process, and have stated that these reported relationships will not have any impact on their ability to give an unbiased presentation. Ankoor Shah, MD, has indicated no real or apparent conflicts. The writer, peer reviewers, and activity planners have no financial relationships to disclose. Educational activities that assist physicians in carrying out their professional responsibilities more effectively and efficiently are consistent with the ACCME definition of continuing medical education (CME). As an ACCME-accredited provider of CME, it is the policy of Med-IQ to review and ensure that all the content and any recommendations, treatments, and manners of practicing medicine in CME activities are scientifically based, valid, and relevant to the practice of medicine. Med-IQ is responsible for validating the content of the CME activities it provides. Specifically, (1) all recommendations addressing the medical care of patients must be based on evidence that is scientifically sound and recognized as such within the profession; (2) all scientific research referred to, reported, or used in CME in support or justification of a patient care recommendation must conform to generally accepted standards of experimental design, data collection, and analysis. Med-IQ is not liable for any decision made or action taken in reliance upon the information provided through this activity. For questions or comments about this activity, please contact Med-IQ. Call (toll-free) 866 858 7434 or email info@med-iq.com. Med-IQ fully complies with the legal requirements of the ADA and the rules and regulations thereof. If any participant in this educational activity is in need of accommodations, please contact Med-IQ at 443 543 5200. Med-IQ is committed to honoring your privacy and protecting any personal information you choose to share with us. For detailed information about our privacy notice, please visit: www.med-iq.com/privacy-statement/.